A patient with treatment resistant depression and an excellent initial response to TMS asked me about the value of maintenance TMS. The question is a reasonable one given what we know generally about the treatment of chronic and/or treatment resistant depression. Almost all of the effective treatments (psychotherapy, medications, ECT, etcetera) have acute and maintenance treatment components. And for all of them, maintenance treatment, often at a lower frequency or intensity, plays a key role in sustained response. 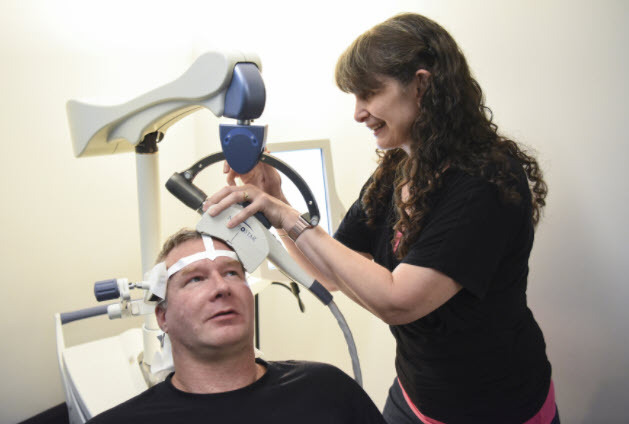 TMS has been shown to have surprising durability compared to most of the other treatments. Still, roughly half of patients with an initial good response to treatment will require re-treatment in the subsequent year, often with a shorter course of therapy than the initial one. Relatively little has been written about the value of maintenance treatment. Two recent studies are encouraging. The older study, in the Journal of Affective Disorders, followed two groups randomly assigned to no additional TMS or a tapering course of TMS from acute (5 times a week) to a week of 3 times a week treatment, then a week of two times a week, then a week of weekly treatment, then every other week for a month and finally monthly treatment. The study was not placebo controlled, but did show that there was significant benefit in monthly maintenance treatment. More recently, the Benadhira study in Psychiatry Research was a small, rnadomized, placebo controlled study (using sham TMS) that followed 35 patients who either received a taper of TMS from 5 times a week to twice a week for a month, then once a week for two months and then every other week for up to a year. Due to drop outs, the data could only be analyzed for the first six months of treatment, but the results were generally positive. 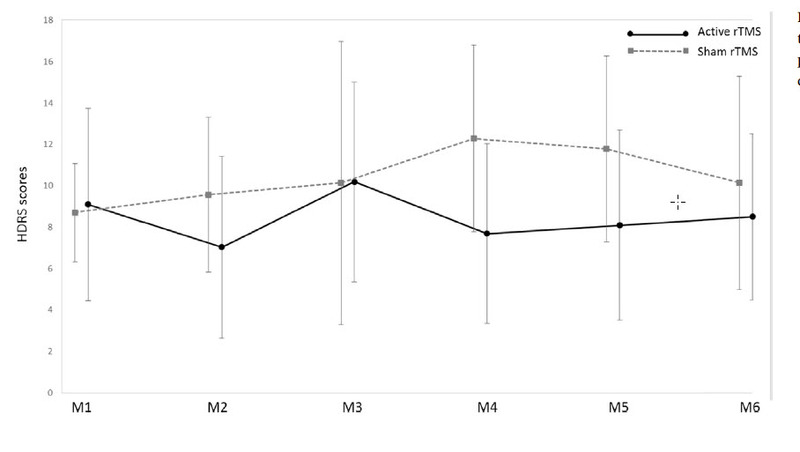 Active TMS at a frequency of once every two weeks maintained the initial response for at least six months, whereas sham TMS showed a gradual worsening of mood (because of drop outs the data beyond month 5 was increasingly unreliable… the apparent “response” to sham TMS in month 6 probably was random variation). In summary, the data is limited but suggests that some patients may respond well to maintenance TMS at a frequency of between once a month and twice a month. How long this maintenance TMS should continue is unknown. There are no studies that extend beyond a year. Benadhira R, Thomas F, Bouaziz N, Braha S, Andrianisaina PS, Isaac C, Moulier V, Januel D. A randomized, sham-controlled study of maintenance rTMS for treatment-resistant depression (TRD). Psychiatry Res. 2017 Dec;258:226-233. doi: 10.1016/j.psychres.2017.08.029. Epub 2017 Aug 18. PubMed PMID: 28844559. Richieri R, Guedj E, Michel P, Loundou A, Auquier P, Lançon C, Boyer L. Maintenance transcranial magnetic stimulation reduces depression relapse: a propensity-adjusted analysis. J Affect Disord. 2013 Oct;151(1):129-35. doi: 10.1016/j.jad.2013.05.062. Epub 2013 Jun 18. PubMed PMID: 23790811.